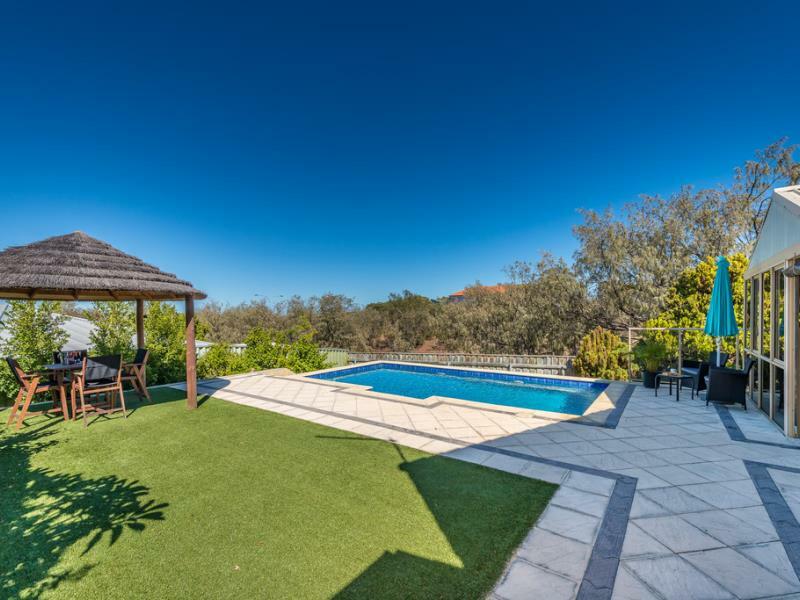 This cul-de-sac cracker of a 4 bedroom 2 bathroom home on a spacious 837sqm (approx.) block offers space, comfort and a pleasant elevation at the rear that provides you with a splendid leafy outlook while relaxing and unwinding. 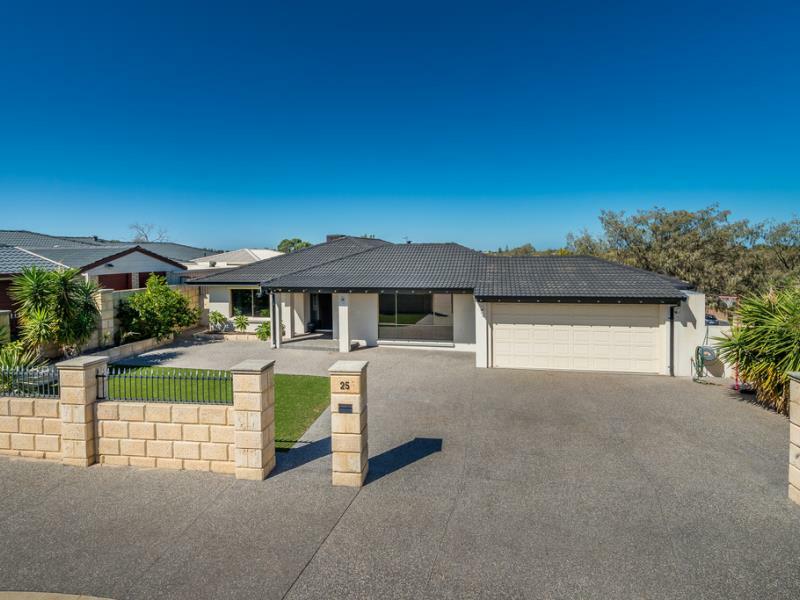 Out front, there is ample driveway room for cars, your boat and a caravan, whilst the remote-controlled double garage enjoys drive-through roller-door access for further secure parking. 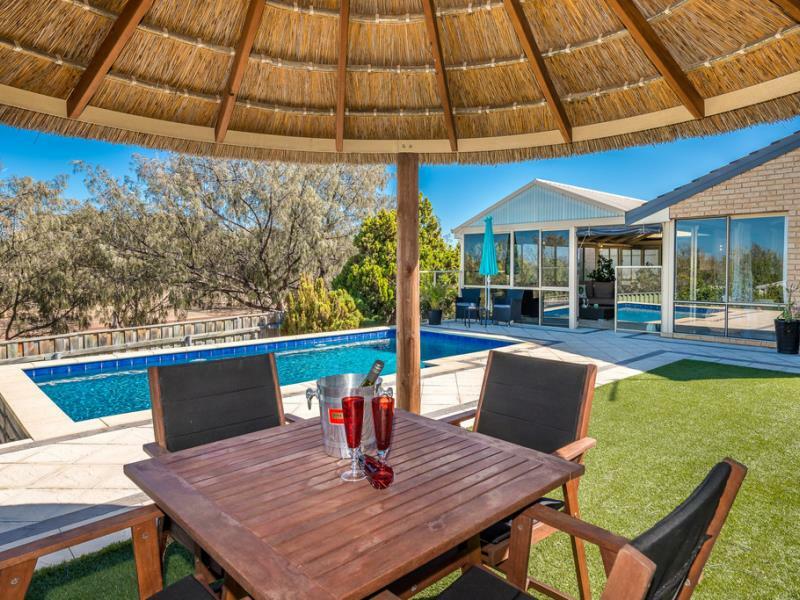 Out back, a beautiful blue resort-style swimming pool sits between a fully-enclosed pitched all-weather patio and a delightful poolside gazebo, leaving you two separate external options to impress your guests with. An immaculate interior is headlined by a spacious open-plan kitchen and meals area that is crisply tiled and boasts a gas bayonet for heating, double sinks, a storage pantry, a casual breakfast bar, a huge plumbed fridge and freezer recess, a 900mm-wide Andi five-burner gas cooktop/oven and a Fisher and Paykel double dishwasher. The adjacent family room is also neatly tiled and features high ceilings, split-system reverse-cycle air-conditioning and a bar or computer nook area that is brilliant in its versatility. Away from the minor sleeping quarters and situated at the front of the house lies a gorgeous master-bedroom suite where solid timber flooring meets a walk-in wardrobe, split-system reverse-cycle air-conditioning and a fully-tiled ensuite bathroom, comprising of a shower, toilet and heat lamps. Doubling living options is a sunken front lounge room that is reserved for those formal occasions and is overlooked by a study or home office area that is also within touching distance of the kitchen. Only walking distance separates your front doorstep from lush parklands, the Connolly Community Centre, fantastic family restaurants and world-class golf at Joondalup Resort, whilst shopping at Lakeside Joondalup and Currambine Central, Connolly Primary School, Beaumaris Primary School, Prendiville Catholic College, St Simon Peter Catholic Primary School, public transport at Currambine Train Station, the freeway, Ocean Reef Boat Harbour and glorious northern suburbs' beaches are all just a matter of minutes away in their own right. What a stunning location!